When it comes to earning your business, Sprinter of Westminster is committed to offering you the best car-buying experience you’ve ever had. We understand the needs of our customers and will do whatever it takes to make sure you get the Sprinter van of your choice at some of the best prices around. Now that Sprinter of Westminster is selling and servicing Sprinter vans in the Denver area, you can be assured that we will offer the same level of exceptional customer service that we have become known for. We have customers who come from Denver, Littleton, Arvada, Boulder, and all over Colorado to purchase their new Mercedes-Benz Cargo Van from us. Make sure to check out our Sprinter Specials section of the website to see what we’re offering. 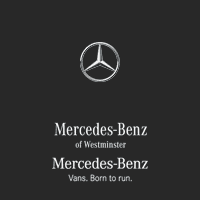 Financing your new Sprinter van is easy at Sprinter of Westminster. We have one of the best leasing and financing teams in the business, offering our valued customers flexibility and a plan that can fit any budget. Check our Finance page and fill out your application online. You can also find out what the payments will be on your new Sprinter.